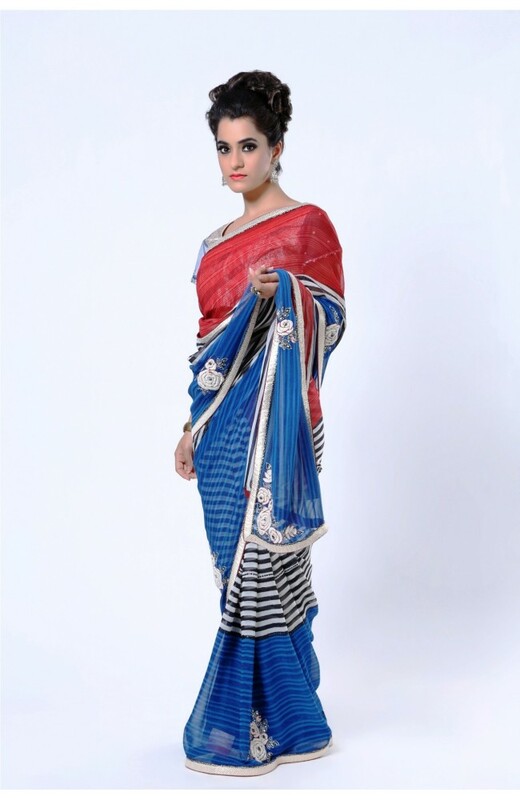 This pure georgette designer saree with its head turning print is a perfect piece for any fashionista. Delicate thread work and kat dana motifs on the entire saree complement its zebra print while the cream brocade blouse in chanderi completes the contrasting glamor. 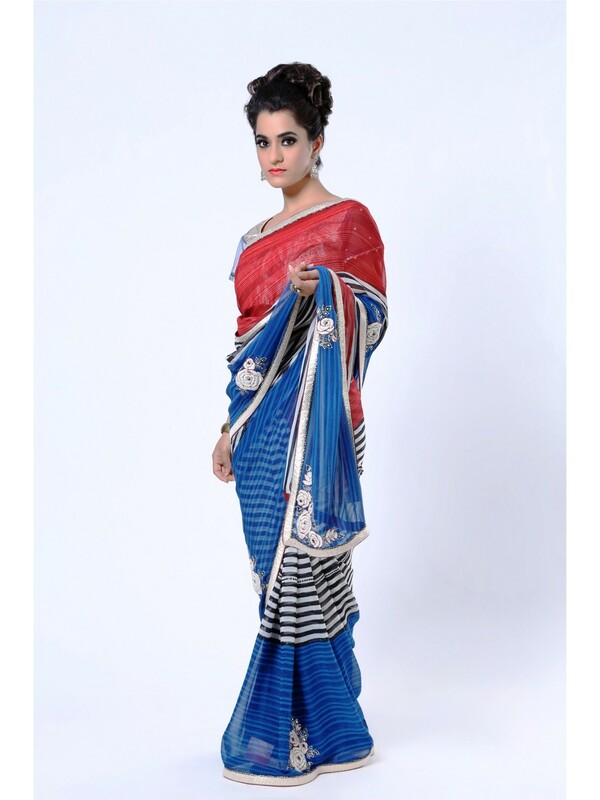 Perfect for a day out with friends or an official gathering, this saree is a smart choice for any collection. 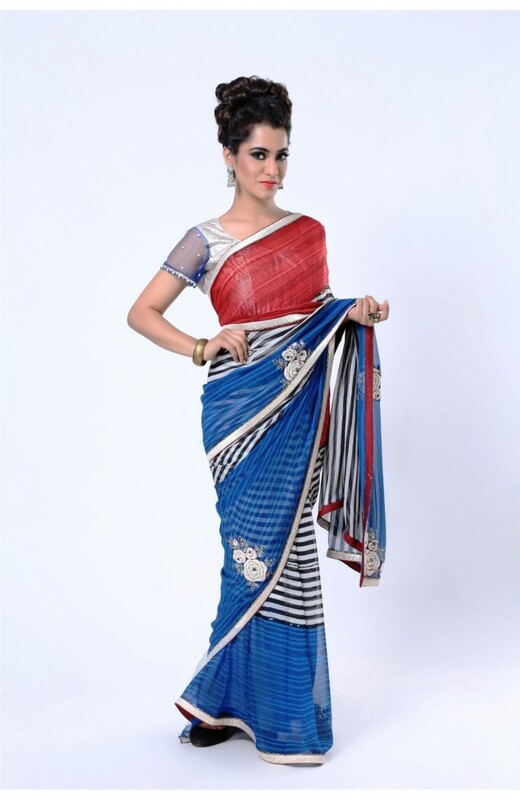 Brand - Ranas has been the favorite saree shop for Brides since five decades. At Ranas, we always strive to offer you the best of Designer Sarees, Lehengas & Suits, to match your style. "